If you are looking for an air purifier for a small bedroom or other small room in your home such as a home office, then spending a bunch of rupees on a high end device is going to be a waste of time. Since air purifiers rely on circulated air to draw in the ambient pollution, they don’t work well across rooms, even if the door is open. If you plan to continuously run an air purifier at night, it’s better to have several small air purifiers in each occupied room than one large one that doesn’t do as good a job. The seven air purifiers in the following list have been picked for their simplicity, low energy, compact size and lower coverage, perfect for the smaller bedrooms of your home. One of the cheapest air purifiers that we have come across in all our years of reviewing air purifiers. Bionaire is an American company known for its clean air solutions. The Bionaire BAP600HBK cylindrical unit is one of the smallest air purifiers by volume. At 24cm in diameter and 27cm in height, it can sit in your room without taking up much space. It has a coverage of 112 sq ft which makes it ideal for very small rooms. Not a brand that many have heard of before, Gliese is based in Gurgaon and has been making air purifiers for several years. The Gliese Magic is a cylindrical unit with a diameter of 21cm and height of 33.5cm. Sipping on just 25 watts of power, it has a remarkable coverage of 200 sq ft with a CADR of 200 m3/hr. The Eureka Forbes SCPR 100 has the lowest power requirements of any air purifier we’ve seen. It’s so low, even some car air purifiers have a higher wattage. This means it’s ultra cheap to run, but with a coverage of 107 sq ft and a CADR of 55 m3/hr (the lowest we’ve seen), this unit is restricted to the smallest of rooms. On the plus side, the SCPR 100 air purifier is the quietest we’ve seen and has the smallest footprint of any air purifier with a 16cm diameter and height of 29cm. Panasonic has managed to produce one of the lowest cost ‘big brand’ air purifiers available. The awkwardly named F-PBJ30ARD is also one of the best looking appliances in this list with its rectangular form. Drawing just 22 watts, it has a commendable coverage of 215 sq ft and a CADR of 162 m3/hr. Size wise, it’s one of the biggest units in this list at 31cm in width, 21cm in depth and 54cm in height. The second Eureka Forbes air purifier to make this list means that the company must feel that there is a market out there for air purifiers for small rooms. This purifier draws 22 watts of power to deliver 200 sq ft of coverage and a CADR of 150 m3/hr. With a maximum noise of 30 db, it really is whisper quiet and perfect for the bedroom. Eureka Forbes believes that their filters will last for 3000 hours, but we imagine that decreases a lot when you take into account Delhi’s horrible air pollution. Many people didn’t even know that Sharp made air purifiers. The FU-A28E-W (we don’t know what it is with these big multi-national brands choosing horrible names for their air purifiers!) is Sharp’s low cost offering that has 160 sq ft of coverage and a CADR of 140 m3/hr. Weighing in at just 3.4 kg, the air purifier can easily be placed in different rooms if required. 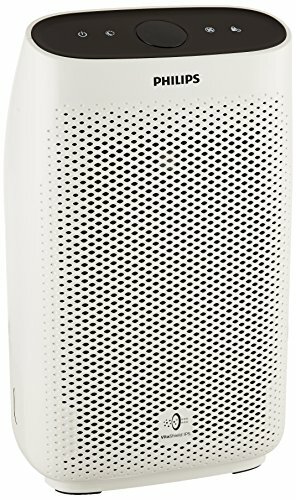 The Prestige 1.0 is the most powerful small air purifier on our list. It draws a maximum of 45 watts which means the motor can provide 225 sq ft of coverage and a CADR of 200 m3/hr which is quite impressive. The Prestige 1.0 is particularly thin, at less than 20cm so you can tuck it right up against the wall. However at 58cm in height, it does have a larger presence than some of the other air purifiers mentioned on this list. 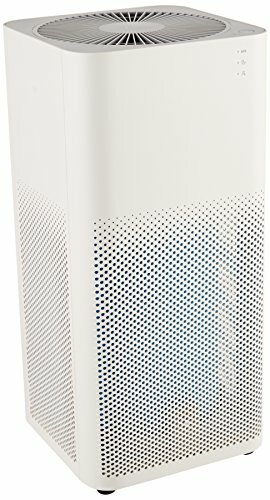 If you are interested in an air purifier for a small bedroom that has more features, consider the Philips AC1215 or the excellent Mi Air Purifier 2. They are around the same price, offer far greater coverage and have some excellent features. Good. People with small bedrooms can prefer this list without any doubt. There are also some other sites that perfectly lists out the top air purifiers that will be helpful for the ones who are looking for best air purifiers to buy.